Let the adventure with technology begin! Learning Target* I can learn how to press "control, alt, delete" I can log in using the kinder lab user name and password on my own. I can practice my keyboarding and mouse skills. Learning Target* I can master computer skills like using a mouse or trackpad. I can access my class website independently. ​Friday, March 6th: Go to Kinder Lessons button, Kinder, Lesson 18 together we will match the pictures. Next play the "keyboard arrow 1" games. When finished go to the "Curious George Learning games"
Learning Target* I can practice my typing skills and work on my accuracy. I can learn about our President's by watching an educational video.. I can play 100 day games from the links above. *Learning Target: I can write a Valentine Day card using my typing skills. I can play other Valentine day games using my mouse and keyboard skills. *Learning Target: I can create patterns using counting cubes. I can show design thinking. I can practice using my mouse. I can use keyboard short cuts. Friday February 8th: Continue with New Curriculum- Lesson 4 mouse practice with ABC mouse tutorial, letter matching and then learning games with time remaining. *Learning Target: I can use a mouse. I can navigate a computer. Friday, January 25th: New Curriculum (Kinder Lessons) Lesson 2 parts of a computer. Video, slideshow, and jigsaw whole class. When finished go to more.starfall.com/? Friday, January 18th: New Curriculum (Kinder Lessons) I can listen to a story about the importance of rules and procedures. I can practice using my mouse while reviewing the alphabet. Play mouse games. Friday, January 11th: Welcome Back and Happy New Year! ​Intro to Mrs. Gillespie, Review Computer Rules with Poster, Free choice from above. Friday, December 21st: No Class - Merry Christmas & Happy New Year!! * Learning Target: I can use the Enter Key. I can practice my typing, spelling and reading skills. I can make a Gingerbread House. * Learning Target: I can use the Backspace Key. I can practice my typing, spelling and reading skills. I can make a Snowman or Snowwoman. * Learning Target: I can understand and use the Ctrl, Alt & Delete keys. I can use the Backspace Key. I can practice my typing, spelling and reading skills. I can make a Christmas tree. ​​* Learning Target: I can understand and use the Ctrl, Alt & Delete keys. I can practice my typing, spelling and reading skills. I can help a character complete tasks. ​​* Learning Target: I can understand and use the Ctrl, Alt & Delete keys. I can practice my typing, spelling and reading skills. ​​* Learning Target: I can understand and use the Ctrl, Alt & Delete keys. I can practice my typing, spelling and reading skills. I can design a pumpkin. ​​* Learning Target: I can list the steps to using Google Chrome to get to the classroom website. I can practice my typing, spelling and reading skills. ​​* Learning Target: I can review computer terms. I can practice my typing, spelling and reading skills. ​* Learning Target: I can review computer terms. I can practice my typing, spelling and reading skills. ​* Learning Target: I can review computer terms and practice with a computer mouse. I can practice my typing, spelling and reading skills. * Learning Target: I can review computer terms and practice with a computer mouse. I can practice my typing, spelling and reading skills. Friday, September 7th: Welcome to the Computer Lab! Seating assignments and computer introduction! * Learning Target: I can follow Miss Anderson's computer lab expectations and procedures. Monday, August 27th: Welcome back! Learning Target* I can work on my typing skills. I can watch and learn about the history of Easter. I can use my keyboard and problem skills to explore Easter games. Wednesday, April 10th: Welcome Back!! warm up (mouse practice) then we will go to 1st lessons 26 make a story" Mrs. Gillespie will model- type 3 sentences about spring break and then add a picture to match. Learning Target*I can make a story using a digital tools. I can practice my mouse skills. Wednesday, March 27th: Warm up Dance Mat typing (level 2-7 cow) next go to 1st lessons (13) alphabetical order. Do the practice on the page then go to the Alphabetical order game. When finished play other games on ABCya. ​Wednesday, March 20th: Happy Spring!! warm up mouse practice or Lego Bits (10 minutes) now watch the video about spring. Next go to 1st lessons (Lesson 12) Paint and Make. Leaning Target* I can practice my keyboarding skills. I can learn about the history of St. Patrick. I can problem solve while exploring St. Patrick's Day games. Wednesday, March 6th: Go to Dance Mat typing for a warm up (level 1) next click on the 1st lessons. Go to number 4 "arrows" Mrs. Gillespie will go over and show directions for both the arrow practice games. When finish you may explore other games on the page for today. Learning Target* I can practice my typing skills and work on my accuracy. I can learn about our President's through PBS kids website. I can complete a word search with President's Day vocabulary. Wednesday, February 6th: Catholic Week Activity. Go to "story maker" write and illustrate a story telling why St. Mary's is a great place to go to school. www.abcya.com/story_maker.htm (teacher model first) when finished you may go to other games in ABCya, or other apps found on classroom page. *Learning Target: I can type and illustrate a story on movie maker. I can practice my typing and mouse skills on ABCya. Wednesday, January 23th: Lesson 2 "Computer parts" Do the matching, then "find the technology" game. When finished you may click on PBS kids or Disney Jr.
Wednesday, January 16th: Lesson 1 "How To's" new curriculum. When finished learn where to go for k-2 sponge activities. Wednesday, January 9th: Welcome back Happy New Year! ​Intro to Mrs. Gillespie, Review Computer Rules with poster, Learn "Mouse Practice" game. Free choice from above. * Learning Target: I can decorate a Christmas Tree. I can command (code) a character to complete tasks. ​* Learning Target: I can practice my typing skills. I can command (code) a character to complete tasks. * Learning Target: I can command (code) a character to complete tasks. * Learning Target: I can practice my typing skills. I can command (code) a character to complete tasks. * Learning Target: I can type in my document. I can carve a pumpkin. I can answer questions. * Learning Target: I can practice my typing skills. I can create a document. * Learning Target: I can practice my typing skills. * Learning Target: I can review computer terms. I can practice my typing skills. * Learning Target: I can complete my test. * Learning Target: I can log in to my computer. I can review computer terms. I can use computer technology and practice my typing skills. * Learning Target: I can use computer technology and practice my typing skills. * Learning Target: I can use complete the maps testing. Wednesday, September 5th: Welcome to the Computer Lab! Seating assignments, Logins, Computer expectations, and Setting up Google! * Learning Target: I can follow computer lab expectations and procedures. Wednesday, August 29th: Class will start after the holiday! Monday, April 22nd: I'm sorry I am out today! Please show the substitute respect and be just as amazing as you always are for me! 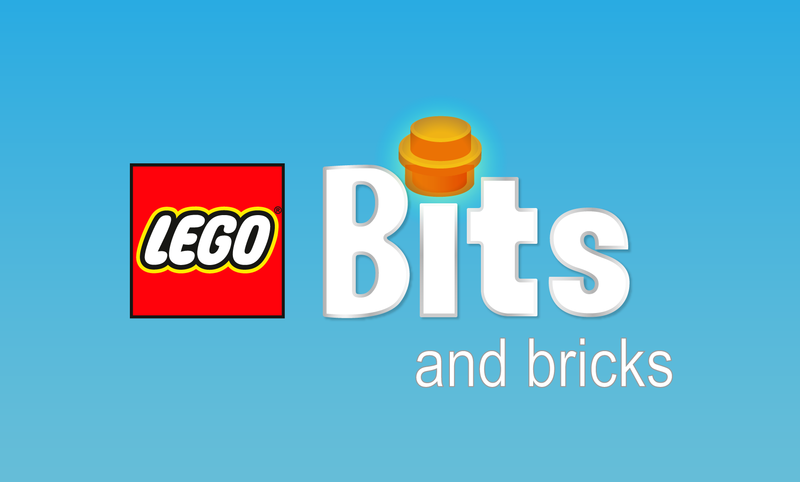 Work on coding with Lego Bits, then the sub will let you know when you can go to ABCya. Learning Target* I can work on my typing and accuracy skills. I can use my problem solving skills. Learning Target* I can listen to to a Easter story and use my typing skills to record what I remember from the story. Monday, April 8th: Welcome back!! 2nd grade lessons (google docs) today we will be doing "Layering text and graphics". When finished Lego bits for coding practice. Wednesday, March 27th: warm up choice of Lego Bits, Dance mat typing or Keyboard climber. Happy "Almost" Spring Break. We will learn a new game website www.funbrain.com/ We will end with "spinner game"
Monday, March 18th: warm up dance mat Typing (10 minutes) then go to the 2nd lessons button and find 2nd grade go to "Build a city" Mrs. Gillespie will go over the directions and demonstrate. When done complete the city matching. Wednesday, March 13th: warm up learn about the history of St. Patrick ministry-to-children.com/veggie-tales-saint-patrick-video/ now click on the 2nd lessons button. Go to 2nd grade "projects- copy and paste" listen for instructions, make a St. Patrick's Day cloud using the words on the screen. When down click on the link www.digipuzzle.net/education/stpatricksday/ or play games in ABCya. Learning Target* I can learn about the History of St. Patrick. I can use a digital tool to create a word cloud. Wednesday, March 6: Warm up coding with Lego Bits or the coding site from Monday (15 minutes) then click on 2nd lessons go to the "internet Safety" lesson, first Mrs. G into sponge. Then click on "bad netiquette", "brain pop be safe" take easy quiz. Show Mrs. Gillespie your score. Last "password rap" when finished explore k-2 sponge activities. Learning Target* I can practice my coding skills. I can work with others in my school, community, or at home to tell them about being a good digital citizen. Monday, March 4th: Warm up dance mat typing. Now click on the 2nd lessons button, Today we are doing "Hour of Code" go over directions with website. Begin to code through the levels the rest of class. Monday, February 25th: Warm-up Dance Mat typing (level 4) . Go to 2nd lessons button. 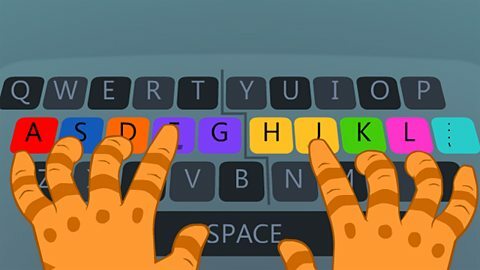 Click on lesson 7 today Typing stamina building. Play the keyboard game. When finished you may play speedy typer. Learning Target* I can learn a new technology tool by exploring it. I can find any letter or number on a keyboard. *Learning Target I can create patterns using counting cubes. I can show design thinking. I can practice using my mouse. I can use keyboard short cuts. Wednesday, January 30th: Catholic Week Activity. Go to "story maker" write and illustrate a story telling why St. Mary's is a great place to go to school. www.abcya.com/story_maker.htm (teacher model first) when finished you may go to other games in ABCya, or other apps found on classroom page. Monday January 28th: SNOW DAY!!! Wednesday, January 16th: Lesson 1 "How To's" new curriculum. *Learning Target: I can create a class New Year's Resolution slide show. I can practice my typing skills. I can play the mouse skills game. Monday, January 7th: Welcome Back! I hope you had a Merry Christmas and are having a wonderful start to the New Year! *Learning Target: I can learn about my new teacher on Google slides. I can review computer equipment using the game. ​* Learning Target: I can learn about Christmas. I can help a Snowman solve puzzles. I can help Santa collect gifts. ​* Learning Target: I can use my arrow key commands to help Santa complete levels. I can find the presents. Wednesday, December 12th: Winter Activity - Keep up the good work! ​* Learning Target: I can use my arrow key commands to help Santa complete levels. Monday, December 10th: Winter Activity - Positive Attitude - You can solve the levels! ​* Learning Target: I can use commands to help Santa complete levels. ​* Learning Target: I can practice my typing skills in Google Docs. I can use commands to help Santa complete levels. ​* Learning Target: I can complete a word search about Thanksgiving. I can create a document about what I do for Thanksgiving and Christmas for someone in my family and for Santa. ​* Learning Target: I can practice my math skills. I can create a document about what I do for Thanksgiving and Christmas for someone in my family and for Santa. ​* Learning Target: I can practice my math skills. I can create a document about what I do for Thanksgiving and Christmas. * Learning Target: I can practice my typing skills to improve my accuracy. I can create a document about what I do for Thanksgiving and Christmas. ​* Learning Target: I can practice my typing skills to improve my accuracy. ​* Learning Target: I can share the Slide I made about me. I can find all the candy. ​* Learning Target: I can create a Slide about me. I can use font, font size, text color and images in my Slide. I can move and resize text boxes and images. I can practice my typing skills to improve my accuracy. ​* Learning Target: I can practice my typing skills to improve my accuracy. I can create a Slide about me. I can use font, font size, text color and images in my Slide. I can move and resize text boxes and images. I can answer questions to advance. ​* Learning Target: I can create a Slide about me. I can use font, font size, text color and images in my Slide. I can move and resize text boxes and images. ​* Learning Target: I can practice my typing skills to improve my accuracy. I can create a Slide about me. I can use font, font size, text color and images in my Slide. I can move and resize text boxes and images. * Learning Target: I can practice my typing skills to improve my accuracy. I can create a Slide about me. I can use font, font size, text color and images in my Slide. I can move and resize text boxes and images. ​​ * Learning Target: I can practice my typing skills to improve my accuracy. I can use a keyboard skin to learn where the letters. ​​ * Learning Target: I can practice my typing skills to improve my accuracy. I can create a Slide about me. I can use font, font size, text color and images in my Slide. I can move and resize text boxes and images. ​ * Learning Target: I can practice my typing skills to improve my accuracy. I can create a Slide about me. I can use font, font size, text color and images in my Slide. I can move and resize text boxes and images. * Learning Target: I can practice my typing skills to improve my accuracy. I can create a Slide about me. I can use font, font size, text color and images in my Slide. I can learn how to move and resize text boxes and images. * Learning Target: I can practice my typing skills to improve my accuracy. I can create a Slide about me. I can use font, font size, text color and images in my Slide. * Learning Target: I can practice my typing skills to improve my accuracy. I can create a Slide about me. * Learning Target: I can answer questions about myself. I can use the Bold, Text Color and Font tools. I can practice my typing skills to improve my accuracy. * Learning Target: I can answer questions about myself. I can practice my typing skills to improve my accuracy. Wednesday, September 5th: Seating assignments, Logins/link data, Computer expectations, and Setting up Google! Wednesday, August 29th: Class will begin after the holiday! Wednesday, April 24th: Typing Olympics (week 7) review whole class how to add a new row to chart. After test typing training 10 minutes. Happy Earth Day Week, Listen to the video Earth Day Facts Then type 3-5 facts you learned from the video for a participation grade. Last 15 minutes continue to present Moon slides. Learning Target* I can practice my typing and accuracy skills. I can learn about about Earth Day and type facts I learned. Wednesday, April 17th: Typing.com (if you are not finished with moon slides work on that) Easter game time!! http://akidsheart.com/holidays/easter/egames.htm. Last 10-15 begin presenting slide shows. Learning Target* I can work on my typing skills and accuracy. I can practice my problem solving and keyboarding skills. I can present my moon slides to the class using google slides. Monday, April 15th: Typing Olympics (training 10 minutes) then finish your moon slides. If you are done play Bridge Hopper (Mrs. G will model first whole class) *last 10 minutes start presenting slides. Learning Target* I can typing skills and accuracy. I can use my arrow keys to problem solve. I can present my slide show to the class. Monday, April 8th: Welcome back!! For warm-up tell me 2-3 sentences what you did over Spring Break. We will continue through Typing Olympics the rest of T3!! Then continue to work on the phases of the moon project. Wednesday, March 27th:warm up typing.com (10 minutes) Happy ALMOST Spring Break!! Today we will do half the time working on our projects and the other half can be free choice:) Have a great SPRING BREAK!!! Monday, March 25th: Typing Olympics, go to the 3rd lessons. Under third grade "Typing Olympics" open up the weekly test. Take the test record week 3 in your document. Then keyboard training for 10 minutes. Today we will continue to work on our "Phases of the Moon" slide project. You should have saved it in drive. Wednesday, March 20th: Happy first day of Spring!! Warm up typing.com (10 minutes) Today we will begin a phases of the moon project using Google slides. First watch video link www.youtube.com/watch?v=76-HAqNKqKA Mrs. Gillespie will go over the rubric and show an example. Get started. Learning Target* I can work on my typing skills and accuracy. I can create Google slides on the phases of the moon. Monday, March 18th: Typing Olympics, go to the 3rd lessons. Under third grade "Typing Olympics" open up the weekly test. Take the test record week 2 in your document. Then keyboard training for 10 minutes. Today we will work on my cube art. Working on keyboarding and problem solving skills. Click on the button up above and get started. Learning Target* I can work on my typing skills and accuracy. I can create art using cubes. Working on making patterns. I can continue to work on problem solving skills. Learning Target* I can practice my typing skills and accuracy. I can learn about St. Patrick and take a quiz after. I can solve problems while practicing my mouse and other computer skills. Monday, March 4th: Start with spinner "would you rather" today we are beginning Typing Olympics. Go to "3rd Lessons" button: 3rd grade (typing Olympics) watch the video. After take the test and log your score for week one. Time remaining training choosing from the games. Last few minutes free time. Learning Target*I can practice my typing and accuracy skills. I can learn about a well known author Dr. Seuss and take a quiz. I can work on my mouse skills while exploring Dr. Seuss games. Monday, February 25th: Warm-up Typing.com for 10 minutes (timer on screen). Review with how to save files with Mrs. Gillespie (story plot) continue to work on Counting cube art for credit. When finished go on to coding an avatar (found in 3rd Lessons button) Daily grade. Any extra time go to ABCya. Learning Target* I can practice my typing and accuracy skills. I can save my documents correctly. I can create patterns using counting cubes. I can practice my coding skills. Learning Target* I can create patterns using counting cubes. I can show design thinking. I can practice using my mouse. I can use keyboard short cuts. Monday, February 18th: Happy Presidents Day!! Typing.com for 10 minutes (timer on the screen) Listen to the book "Grace for President" www.youtube.com/watch?v=_xB2OAyM1kI after the book work on the story Diagram for a grade. Last 5-10 minutes present NY slides. Learning Target* I can practice my typing skills. I can listen to a fictions presidential story online. I can fill in an interactive story diagram about the story for a grade. I can present my New Year's slide to the class. Monday February 11th: Present your NY resolution slide to the class. Then go the "3rd Lessons" under 3rd grade: coding "Code an Avatar" show to Mrs, Gillespie when finished for a grade. Monday January 28th: SNOW DAY!! Wednesday January 23: Go over NY slides. Find your slide and finish up. Present to class. Anytime left typing.com. ​*Learning Target I can create a New Year's Resolution slide show in google slides. I can present my slide to the class. I can review my typing skills. Learning Target I can continue to create a class New Year's slide in Google. I can present my slide to the class. I can watch a video on Chinese New Year and take a quiz. I can work on my typing skills. *Learning Target I can create a New Year's Resolution slide show in google slides. I can review my typing skills. Monday, January 14th: Create a class New Year's Resolution slide show. Go over Rubric. Wednesday, January 9th: Create a class New Years Resolution slide show. Practice typing skills on typing.com. Monday, January 7th: Welcome Back! I hope you had a Merry Christmas and are having a Happy New Year! Intro to Mrs. Gillespie using Google slides. I can review computer equipment playing game http://www.abcya.com/computer_vocabulary.htm . *Learning Target: I can learn about my new teacher in Google slides. I can review computer equipment. * Learning Target: I can listen for interesting facts about Christmas. I can use Google Earth to find a fact about each continent. I can write my facts on a Google Form. * Learning Target: I can use Google Earth to find a fact about each continent. I can write my facts on a Google Form. * Learning Target: I can practice my typing skills to improve my accuracy and speed. I can use Google Earth to find a fact about each continent. I can write my facts on a Google Form. * Learning Target: I can practice my typing skills to improve my accuracy and speed. I can share my presentation about Christmas. I can create a Google Form. I can use Google Earth to find a fact about each continent. ​* Learning Target: I can practice my typing skills to improve my accuracy and speed. I can make a presentation about Christmas. I can insert images and GIFs. I can change font, font color and font size. ​* Learning Target: I can practice my typing skills to improve my accuracy and speed. I can code a character to solve a task. I can use the least amount of commands. I can make a presentation about Christmas. * Learning Target: I can practice my typing skills to improve my accuracy and speed. I can code a character to solve a task. I can use the least amount of commands. I can make a presentation about Christmas. * Learning Target: I can practice my typing skills to improve my accuracy and speed. I can code a character to solve a task. I can use the least amount of commands. * Learning Target: I can practice my typing skills to improve my accuracy and speed. I can use Ctrl shortcuts. I can code a character to solve a task. * Learning Target: I can practice my typing skills to improve my accuracy and speed. I can create a Doc and then a Slide about Halloween and All Saints' Day. I can use Ctrl shortcuts. I can organize my information and format images. ​* Learning Target: I can practice my typing skills to improve my accuracy and speed. I can create a Doc and then a Slide about Halloween and All Saints' Day. * Learning Target: I can practice my typing skills to improve my accuracy and speed. I can create a Doc and then a Slide about Halloween and All Saints' Day. * Learning Target: I can practice my typing skills to improve my accuracy and speed. I can create slides about my education. I can use transition and animations in my slide. I can present my slide to the class. ​* Learning Target: I can practice my typing skills to improve my accuracy and speed. I can create slides about my education. I can use transition and animations in my slide. I can present my slide to the class. ​* Learning Target: I can practice my typing skills to improve my accuracy and speed. I can create slides about my education. I can use the Font, Font Size, Text Color and Image tools. I can present my slide to the class. * Learning Target: I can practice my typing skills to improve my accuracy and speed. I can create slides about my education. I can use the Font, Font Size, Text Color and Image tools. * Learning Target: I can practice my typing skills to improve my accuracy and speed. I can create a Slide about my education. I can use the Font, Font Size, Text Color and Image tools. * Learning Target: I can practice my typing skills to improve my accuracy and speed. I can create a Slide about my education. I can use the Font, Font Size, and Text Color tools. * Learning Target: I can practice my typing skills to improve my accuracy and speed. I can create a Slide about myself. * Learning Target: ​I can complete an activity about myself. I can practice my typing skills to improve my accuracy and speed. I can create a Slide about myself. * Learning Target: ​I can complete an activity about myself. I can practice my typing skills to improve my accuracy and speed. * Learning Target: ​I can learn about a historic event. I can practice my typing skills to improve my accuracy and speed. I can organize and type information for my school project. Wednesday, September 5th: Seating assignments, Logins, Computer expectations and Setting up Google! Learning Target* I can research and create a slide on a famous women in history. I can learn about the history of Easter and take a quiz in Google Forms. Learning Target* I can work on my typing skills and accuracy. I can continue to research for my biography project. Monday, April 8th: Welcome Back!!! Warm-up tell me 2-3 sentences what you did over Spring Break. then typing.com. Today we are beginning Typing Olympics. Go to "3rd Lessons" button: 3rd grade (typing Olympics) watch the video. After take the test and log your score for week one. Continue to work on your Biography slide today. Look at the example to see what you need. Monday, March 25th: warm up virtue review. Typing.com (10 minutes) Open up the Biography slide. Rename and save in your file. Begin working. You will need to do research on your person. List on screen. As you work refer to the example and rubric. Learning Target* I can work on my typing skills and accuracy. I can begin research on a famous woman and start my Biography Project. Learning Target* I can learn about spring and record facts. I can begin to create a biography in google slides about a famous woman. Monday, March 18th: warm-up Magnanimity, typing.com (10 minutes) Today we will work on my cube art. Working on keyboarding and problem solving skills. Click on the button up above and get started. Learning Target* I can practice my typing and keyboarding skills. I can learn about the history of St. Patrick's Day. I can take a quiz following the video. I can use my problem solving skills while exploring games. Friday, March 8th:warm-up What does Lent mean to you? Go to 4th Lessons button. Go back to internet safety 5. Today you will go through the rest of the games: share-jumper, evolve, search shark, mix-n-match. Answer the remaining questions in Padlet: "cyber-bullying, search mission, and creative credit" any time remains explore the sponge activities for 3-5. *Learning Target Learn about copyright, credit, and plagiarism and apply their knowledge to their own creative work. Learn how keywords can help them find information online. Compare different forms of cyberbullying and the roles of those involved. Reflect on the benefits of sharing online, while acknowledging that information can spread fast and far. Monday, March 4th: warm-up humility, Unfinished work!!! typing.com (do 3 lessons then typing games) today click on 4th lessons button. Doing internet safety 5 click on "Twalkers" play the game. When finished answer the "communication mission" in padlet then explore the sponge activities. Learning Target* I can practice my typing and accuracy skills. I can reflect on what it’s like to multitask on a cellphone and consider the benefits of focusing on one task at a time. Learning Target* I can practice my typing skills and accuracy. I can build my knowledge by asking questions and seeking answers. I can create safe and secure passwords . Learning Target*I can practice my typing skills and accuracy. I can watch a video on George Washington and complete the online quiz. I can use my skills from math and Social studies to play a presidential game. Learning Target* I can practice my typing skills. I can listen to a fictional presidential story online. I can fill in an interactive story diagram about the story for a grade. Friday, February 15th: Happy Valentine's Week!! Watch the video "Saint Valentine's Day history" www.youtube.com/watch?v=JdKZepHMFWE&feature=player_embedded After click on the Valentine Day Art button, you will be creating Valentine's pictures using counting cubes. When you create a picture show Mrs. Gillespie for credit!! When done go to the link https://www.storylineonline.net/books/somebody-loves-you-mr-hatch/ listen to the story "Somebody Loves you, Mr. Hatch"
Monday, February 11th: Warm-up type virtue trustworthiness. 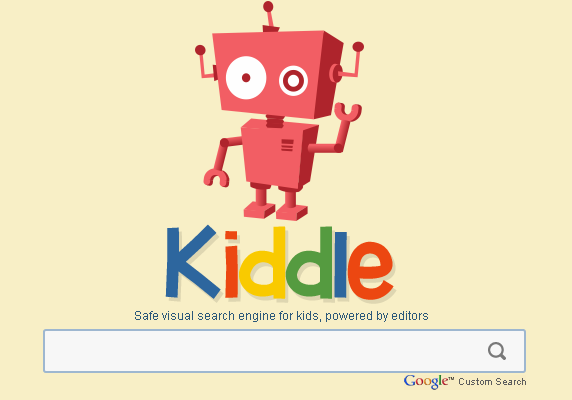 Typing.com for 10 minutes (timer on board) Google Scavenger hunt (for a grade), click on button and make a copy. Teacher model first one earth.google.com/web/ When finished may go to ABCya. Spinner game at the end of class. Friday February 8th: Warm-up type virtue Meekness. Typing.com for 10 minutes (timer on board) When finished may go to ABCya. *Learning Target: I can practice my typing skills. I can use Google Earth to do a scavenger hunt for a grade. Monday January 28th: SNOW DAY spinner game (Would you rather). Typing.com for 10 minutes (timer on board) work on Google Scavenger hunt. Go to Google Drive open documents (make a copy, with name) Teacher model. When finished may go to ABCya. Friday January 11th: Warm up- Foresight what goal can you set in school for 2019? Spinner game Do you remember? Class New Year's Resolution slide show in google slides. Show Rubric with class Free Choice from above. *Learning Target: I can complete the warm-up. I can create a class New Year's Resolution slide show, using the file above. I can present my resolution slide to the class. Friday, December 21st: No Class - Have a great Christmas and a Happy New Year! ​* Learning Target: I can complete the warm-up. I can present my video. ​* Learning Target: I can complete the warm-up. I can practice my typing skills to improve my accuracy and speed. I can compile information for a video about myself. I can check if my video meets all the requirements. I can present my video. I can create a video about a topic of my choosing. ​* Learning Target: I can complete the warm-up. I can compile information for a video about myself. I can check if my video meets all the requirements. I can present my video. ​* Learning Target: I can complete the warm-up. I can practice my typing skills to improve my accuracy and speed. I can compile information for a video about myself. I can save images to a folder for a video. I can insert images to my video. I can add captions and animations to images. I can add credits and music. ​* Learning Target: I can complete the warm-up. I can practice my typing skills to improve my accuracy and speed. I can compile information for a video about myself. I can save images to a folder for a video. I can insert images to my video. I can add captions and animations. * Learning Target: I can complete the warm-up. I can practice my typing skills to improve my accuracy and speed. I can compile information for a video about myself. I can save images to a folder for a video. I can insert images to my video. I can add captions and animations. * Learning Target: I can complete the warm-up. I can practice my typing skills to improve my accuracy and speed. I can try a classmate's game. I can compile information for a video about myself. I can save images to a folder for a video. I can insert images to my video. * Learning Target: I can complete the warm-up. I can practice my typing skills to improve my accuracy and speed. I can try a classmate's game. I can compile information for a video about myself. I can save images to a folder for a video. ​* Learning Target: I can complete the warm-up. I can practice my typing skills to improve my accuracy and speed. I can practice my coding skills. I can code a game. I can code characters. I can compile information for a video about myself. ​* Learning Target: I can complete the warm-up. I can practice my typing skills to improve my accuracy and speed. I can practice my coding skills. I can code a game. I can code characters. * Learning Target: I can complete the warm-up. I can practice my typing skills to improve my accuracy and speed. I can practice my coding skills. I can code a game. * Learning Target: I can complete the warm-up. I can practice my typing skills to improve my accuracy and speed. I can practice my coding skills. I can command a character to move to complete a task. * Learning Target: I can complete the warm-up. I can practice my typing skills to improve my accuracy and speed. I can practice my coding skills. * Learning Target: I can practice my typing skills to improve my accuracy and speed. I can practice my coding skills using repeat, if and angles. * Learning Target: I can practice my typing skills to improve my accuracy and speed. I can practice my coding skills. ​* Learning Target: I can complete the warm-up. I can practice my typing skills to improve my accuracy and speed. I can practice my coding skills. ​* Learning Target: I can practice my typing skills to improve my accuracy and speed. I can practice my coding skills. * Learning Target: I can practice my typing skills to improve my accuracy and speed. I can review and learn how to use Google features. * Learning Target: I can practice my typing skills to improve my accuracy and speed. I can review and learn how to use Google Docs. * Learning Target: I can complete the warm-up. I can learn about a historic event. I can practice my typing skills to improve my accuracy and speed. I can compile information to use for a project. Friday, September 7th: Seating assignments, Logins, Computer expectations and Setting up Google! * Learning Target: I can follow the computer lab expectations!